We hope to see you all next Saturday at the Memorial for our last concert of the year! Special thanks for the blog this week goes out to our newest intern, Elizabeth Rizzuto. Come out and see the great Frank Sinatra on August 10, 2013 for D-Day Memorial’s “Keep the Spirit of ’45 Alive” Concert. James Anthony will be paying tribute to Frank Sinatra starting at 7:00 pm. Dance the night away to the smooth sounds of the 1940s jazz era. Frank Sinatra, born 12 December 1915 to Italian immigrant parents, grew up in a modest household in Hoboken, New Jersey. Getting his start in talent contests with the group The Three Flashes, he sought out a career in entertainment. In 1935, the group was approached by a talent scout, Edward ‘Major’ Bowes, and was given a performance number in the series ‘Amateur Hour’. After winning the grand prize, Sinatra began touring the country, getting his name out there. Once the tour had ended, he became a singing waiter at the Rustic Cabin in New York. His performances were broadcast on the WNEW radio station for all of New York to hear. In 1939, Harry James hired Sinatra and together they made their first joint recording. 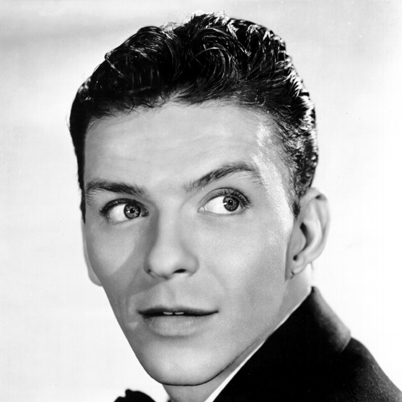 Sinatra learned a great deal from James and was eventually approached by the Tommy Dorsey Orchestra. With the Orchestra, Sinatra made twenty-nine singles and made a name for himself as Male Vocalist of the Year by Billboard Magazine. When the fighting began in Europe and after the attack on Pearl Harbor (1941), Frank was eager to enlist in the armed forces. However, due to a punctured eardrum he was considered unfit for duty and unable to join the fight. The year 1943 marked the beginning of Sinatra’s solo career when he began working for Columbia Records. His smooth voice and charismatic demeanor were the perfect combination to woo women across the country and gain a steady fan base, close enough to rival Bing Crosby. 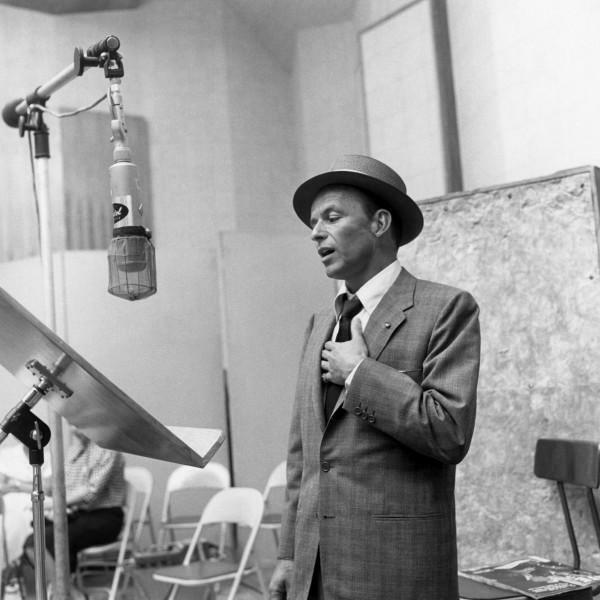 Nicknamed ‘The Voice’, Sinatra recorded twenty-three singles within three years between 1940 and 1943. After the success of numerous concerts, Hollywood producers began to take notice of his many talents and charms. 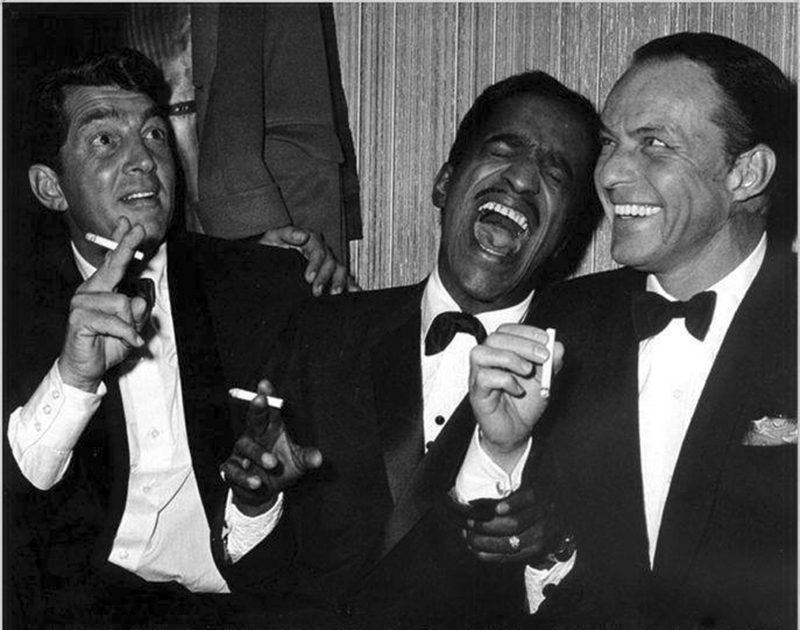 Sinatra entered the realm of Hollywood with wildly successful musicals and the rest is history. The 1940s were a phenomenal decade for the singer/actor and he continued to wow audiences for generations to come with ‘The Rat Pack’ and his continued success as a solo artist. His musical talents are remembered and cherished across the country.